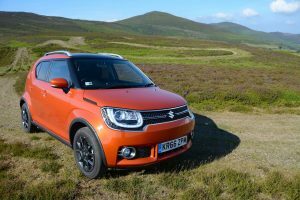 The Suzuki Ignis, featuring a mild hybrid system, is light, efficient and fun; with four-wheel drive, it’s a really capable – and interesting – all-rounder. 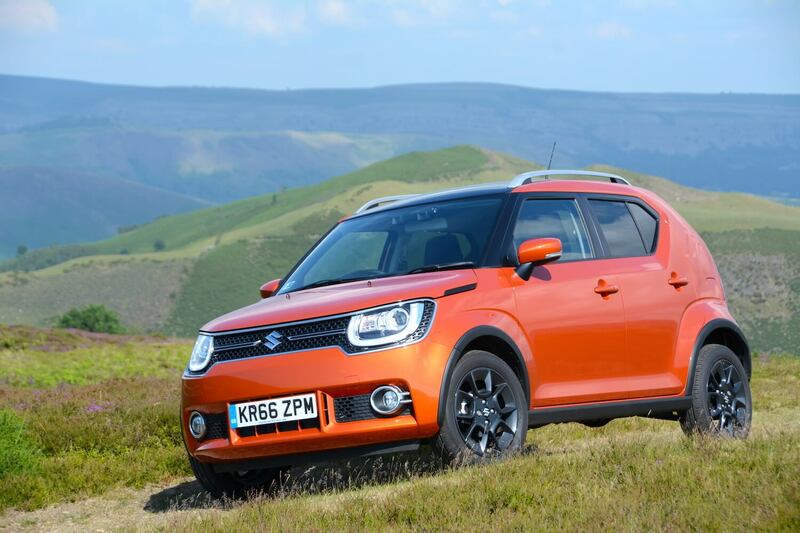 It’s fair to say that Suzuki has niche appeal in the UK, with the company being best known for small cars and 4x4s. The Ignis, a compact crossover, combines both of these strengths, so should you consider this car? The Suzuki Ignis has a 4-cylinder, 1,242cc Dualjet engine mated to a 5-speed manual gearbox, and our test car had the ALLGRIP automatic and permanent four-wheel drive system. This transfers additional torque to the rear wheels when required via a viscous coupling which takes on the role of a centre differential to connect the front and rear axles. The Ignis also has Hill Descent Control and Grip Control. 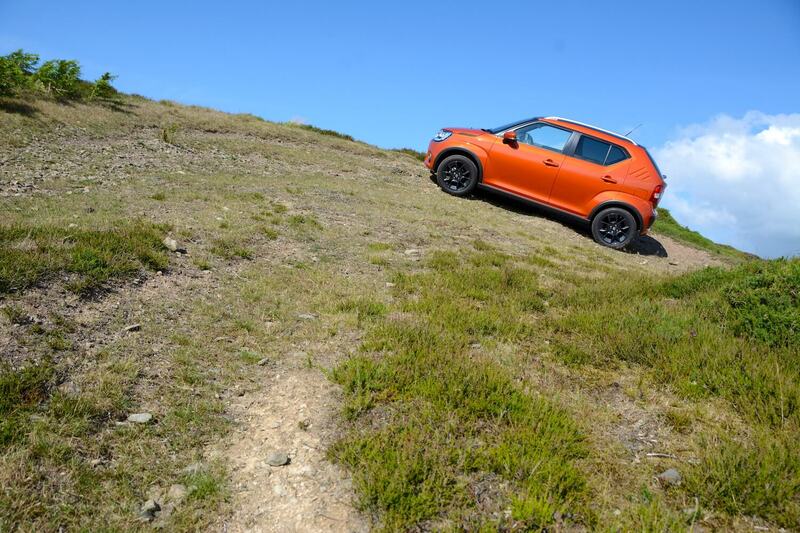 Hill Descent Control activates when switched on by the driver and when the vehicle is travelling on an incline at less than 15mph in first or second gear. Once switched on by the driver, Grip Control activates on slippery surfaces at speeds of less than 18mph, and focuses torque on the driven wheels that have grip, applying braking to any wheel that is spinning. 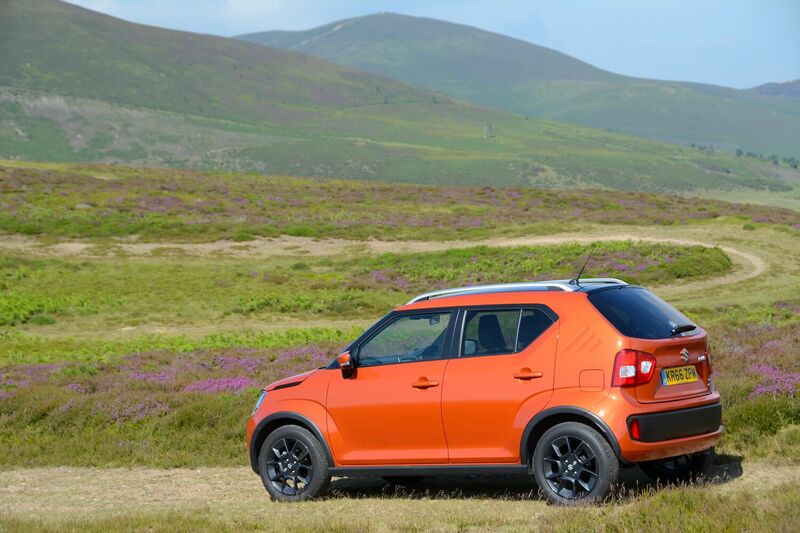 The Ignis ALLGRIP is just 50kg heavier than the equivalent 2WD model and emissions are only 9g/km higher at 106g/km. 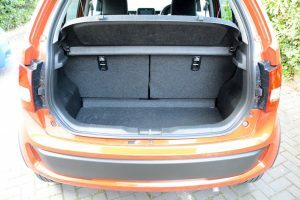 Due to the location of the rear differential for the 4WD system, the luggage capacity is 204 litres versus 260 litres for the 2WD model (and the Ignis is just a four-seater). 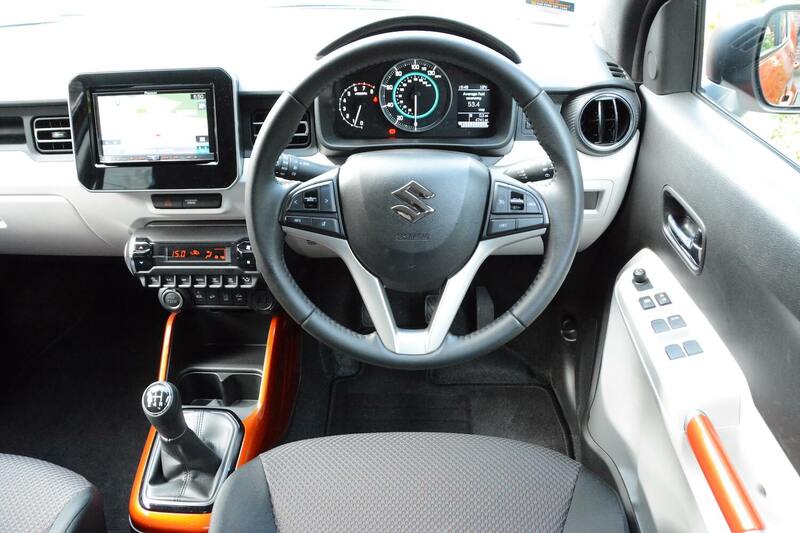 Our Ignis also featured Suzuki’s SHVS mild hybrid system (‘Smart Hybrid Vehicle by Suzuki’). Available for the SZ5 manual model, the SHVS mild hybrid system – which adds just 6.2kg to the overall weight – generates electricity through regenerative braking, which can then be used to assist the engine during acceleration. It uses a compact high performance lithium-ion battery under the front passenger seat to store energy and incorporates an idle stop function operated via the Integrated Start Generator (ISG). The SHVS system uses the conventional engine starter motor when first started from cold, under all other conditions it uses the ISG unit to allow engine restarts. 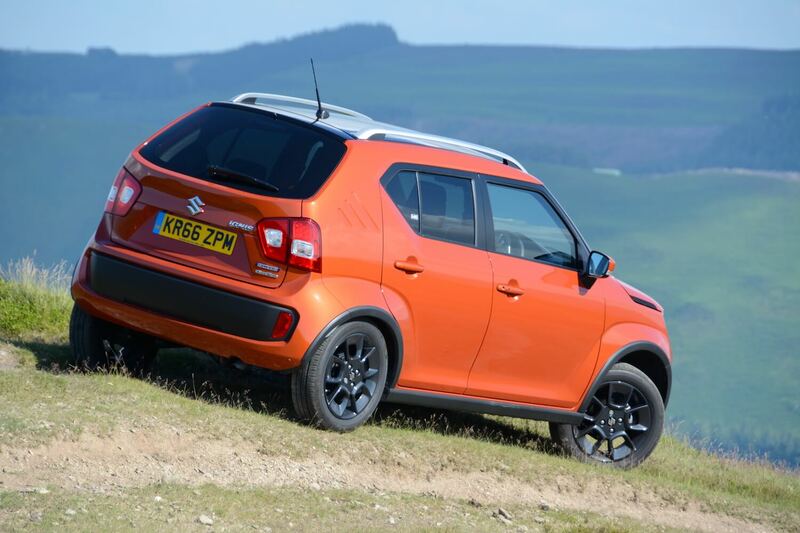 Let’s get straight to it: most people won’t imagine this to be the case, but the Ignis is great fun to drive. 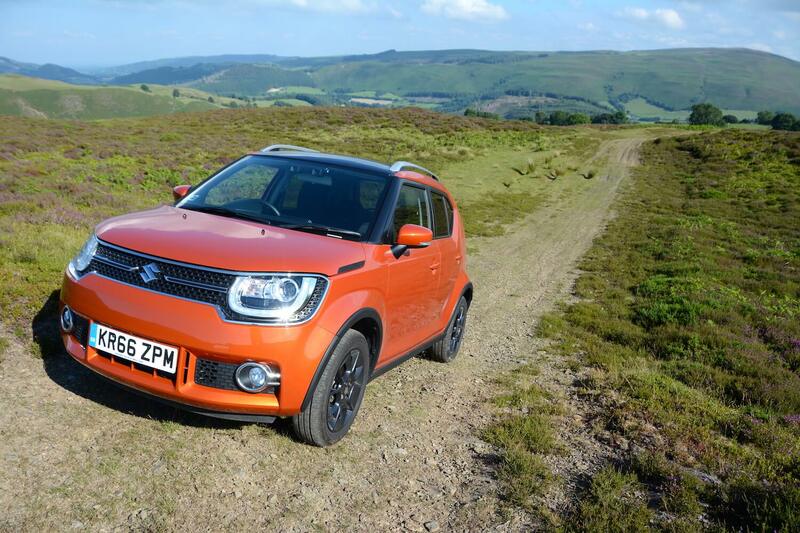 One of our test routes took us along some excellent Welsh A and B-roads and because the Ignis, at just 920 kg, is so light, it feels extremely refreshing compared to most other new cars that you can buy today. It’s a direct driving experience rather than being designed to be insulated from the road. 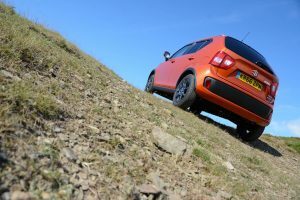 Because the Ignis is a 4×4, we tested it off road. Despite having tyres not much wider than a £1 coin, and ground clearance of just 180mm, it coped with everything that was thrown at it. There really are very few cars that can offer a fun driving experience to the hills, which are then able to drive over the hills. An Ariel Nomad springs to mind as a competitor, but without any form bodywork we’re not convinced that it’s as practical as the Ignis, or that it would be as economical (we’re still waiting for a phone call from Ariel to book a Nomad in for a review…). 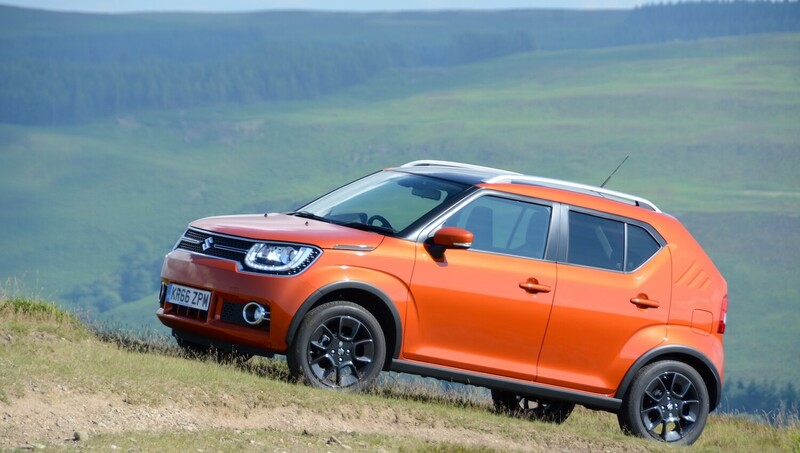 Four-wheel drive provides more grip than front-wheel drive, and also aids the Ignis’s handling on tarmac roads. Sometimes the traction control cuts in if you’re a little too enthusiastic, but this can be switched off. What about any issues with the Ignis? Well, there’s no reach adjustment on the steering wheel. This usually means that we can’t get a decent driving position, but the Ignis was just about okay. While we’re on this subject, it has to be noted that the Ignis has an excellent steering lock, making it ideal for driving in cities as well as over hills. Next item on the list is the infomedia system. You really do need a magnifying glass to read the extremely small text on the buttons at the bottom of the screen. However the system, amazingly, seems to work reasonably well. And there’s even a reversing camera. But the interior won’t work for you if you’re used to Audi levels of design and material quality. Then there’s the lane departure warning system, which beeps at you whenever you drive near a white line. However you can switch that off, so it’s not an issue. Next? There’s no turbo. Almost all new cars today have turbos, but the Ignis instead has a naturally-aspirated 1.2-litre petrol engine. Did the lack of a turbo matter? No. The powertrain gives the Ignis the feeling of machinery such as the original Ford Ka – like the Ignis, if you’ve never driven one, you wouldn’t imagine this to be the case, but the original Ka felt like a mini rally car, with direct response from the engine, steering and chassis. 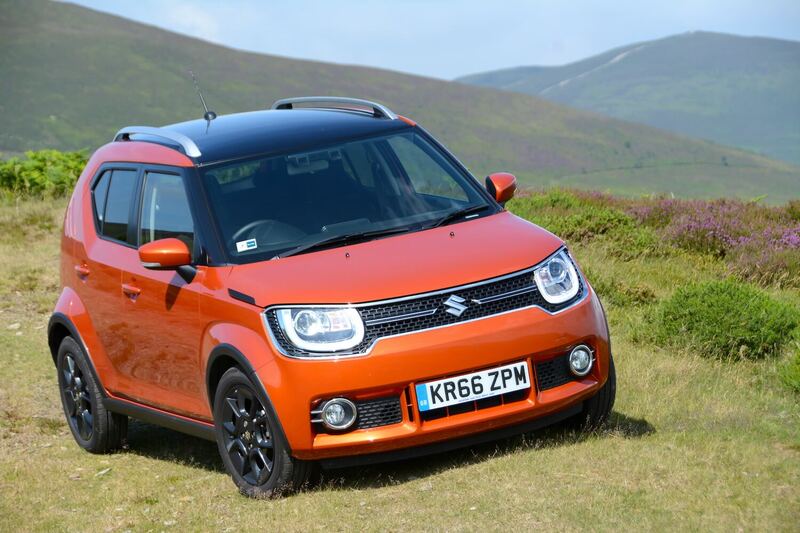 But the reason the Ignis provides a back-to-basics driving experience is because it is back-to-basics in many ways. The engine isn’t refined compared to most rivals, and this is not a car for comfortable motorway miles. The engine feels frantic at motorway speeds. 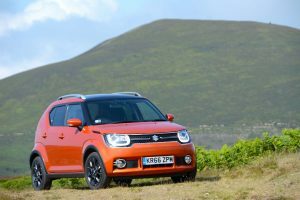 In the interests of consumer research, we tested the Ignis to the heady heights of 80mph, when the engine was turning over at 3500rpm (remember there are only five gears); this is not very relaxing, or very quiet. The displayed range of 260 miles at motorway speeds also isn’t great. Although the handling of the Ignis on Welsh B-roads is fun, this is aided by fairly firm suspension, which limits the amount of roll through the corners. However this means that the Ignis doesn’t have a particularly comfortable ride on rough roads. The Ignis sometimes thinks that you’re going to crash into a car in front that’s turning off the road, and all the graphics in the instrument panel go red, accompanied by lots of noise; the system could perhaps benefit from a little fine-tuning. 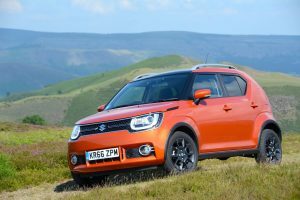 The official NEDC combined economy figure for the Suzuki Ignis 1.2 SHVS SZ5 4W is 60.1mpg, equating to 106 g/km CO2 emissions. As any regular visitor to Green Car Guide will be aware, our real-life economy figures are typically at least 20-25% worse than the official figures. So what average did we achieve with the Ignis after a week of mixed driving? : 53.6mpg. This is much closer to the official figure than most cars. Why is this? One theory is that this is because the Ignis is non-turbo. Small engines with turbos are optimised to perform well in the NEDC test, but in real-life driving, out of the NEDC test cycle, they usually perform very badly. On a long drive on a Welsh B-road we achieved an indicated 68.4mpg, showing that the Ignis could potentially be very economical if driven carefully. An interesting read-out on the dashboard said that the Ignis had saved 558 miles of fuel by idling – presumably this was out of a total of the total of 4740 miles on the clock – in which case that’s an impressive result. 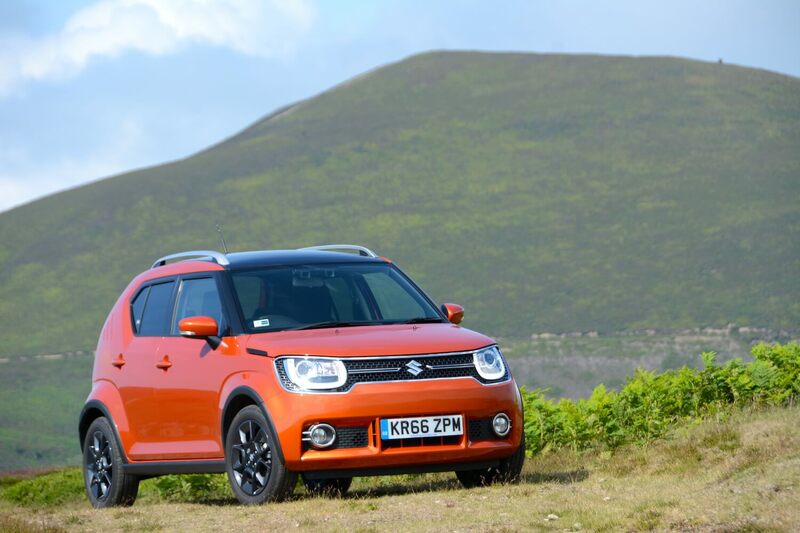 The Suzuki Ignis 1.2 SHVS SZ5 4W costs £14,499. 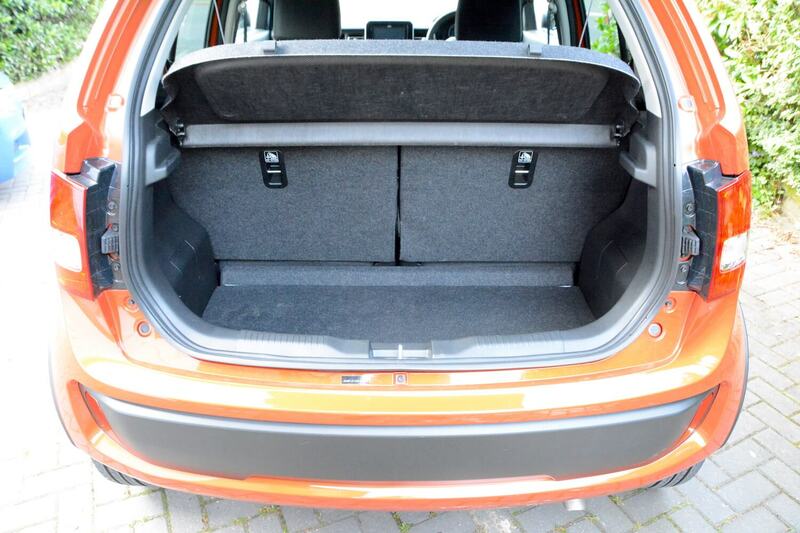 The one optional extra on our test car was flame orange paint with a black roof (£650), bringing the total price of the car to £15,149. Our car was the top of the range model and well equipped – but it’s still relatively affordable. The Ignis is available in SZ3, SZ-T and SZ5 grades. Compared to the SZ3, the SZ-T adds sliding rear seats, sat nav, rear view camera, wheel arch extensions, side mouldings and roof rails, and 16-inch alloy wheels. The SZ5 adds auto air conditioning, LED headlights with LED DRL, Dual Camera Brake Support and Cruise Control. The SZ5 is also available with the ALLGRIP ‘AUTO’ 4WD system, as per our test car. Suzuki’s ‘Auto Gear Shift’ (AGS) is available as an option. The Ignis is available with two-wheel drive and a kerb weight from just 810kg, when it can achieve 65.7mpg and 97g/km CO2 emissions. 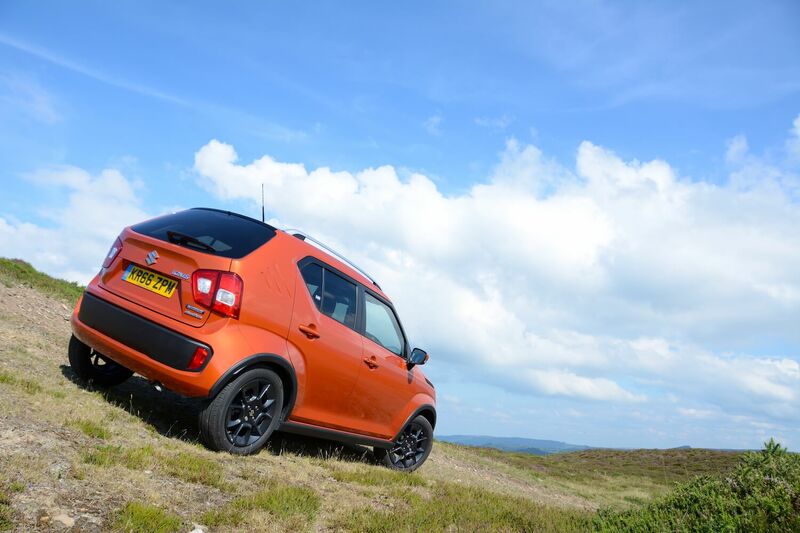 We’d like to give the Ignis a 10 out of 10 rating, because it’s so refreshing, and great fun to drive. Its light weight of just 920 kg is a key reason for it being fun to drive. This is also an important factor in why it was so economical in real-life driving. It’s also more capable than virtually all other cars in its sector because it’s four-wheel drive. However you can’t get away from the engine feeling dated and unrefined compared to most rivals, especially on motorway journeys, and the infomedia system, although it actually worked surprisingly well, from a visual point of view looks like a cheap aftermarket accessory. So when scored systematically, rather than from the heart, the Ignis ends up with a Green Car Guide rating of 8 out of 10. This also recognises that it won’t appeal to everyone. 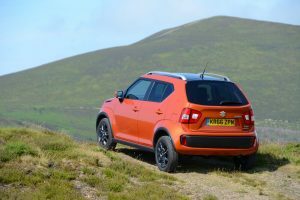 Most people value refinement and the latest interior technology over a back-to-basics, fun driving experience, in which case the Ignis won’t appeal. 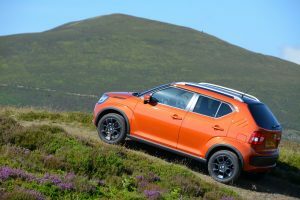 But we salute the Ignis’s individuality in the face of fashion, and the fact that it can bring a smile to your face on the way to the great outdoors, and when you get there, it will go further off the tarmac than you would ever imagine was possible. And it will do all this economically, as well as for a relatively affordable purchase price.